Thank you for your interest in our law firm. We are located just minutes from Toledo in Maumee, Ohio. Convenient to both the Ohio Turnpike and Interstates 75-475/U.S. 23, we serve individuals and families from all over northwest Ohio and beyond. Our focus is on various aspects of estate planning, including elder law and asset protection, as well as other areas that are often closely-aligned with those, such as real estate/farm land and small business. We are committed to providing valuable legal services in a caring and successful manner. We know you have a choice of who to work with, and we thank you for taking time to explore your options with us. The law firm of Bayer, Papay & Steiner Co., LPA, has served literally thousands of clients since its formation in 1998. 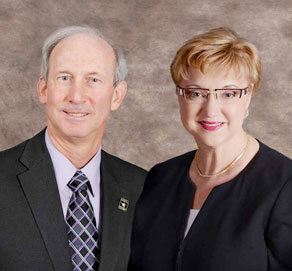 But our attorney/co-owners, Chris E. Steiner and Debbie J. Papay, began practicing law long before then. Together we have over 70 years experience in the legal services areas in which our practice is focused. We gain additional knowledge and training annually from our memberships in nationwide alliances of estate planning and elder law attorneys, such as Elder Counsel, the National Academy of Elder Law Attorneys (NAELA) and VAGA (Veterans Advocates Group of America), as well as the Ohio State and Toledo Bar Associations. We invite you to learn more about how we can help you by reviewing the pages of this site or attending one of our New Client Orientation Meetings described below. The first step in the estate or elder law planning process with us is to attend a New Client Orientation Meeting. Attendance at the meeting is a prerequisite to begin the consultation and planning process. If you are married or have a significant other, both of you are expected to attend. There is no fee, nor ever any obligation or pressure to retain our firm. The meetings give you a free look and educate you about Wills, Trusts, powers of attorney, asset protection, Medicaid, a V.A. benefit, and various legal options. They are held in the Education Center in our one-story, accessible office building with free parking, which is located at 1755 Indian Wood Circle (at the corner with Woodlands), in Arrowhead Park. (That’s our new address as of May 24, 2018. See the Map/Contact Us page for a map.) Reservations are required and seating is limited to 16 persons. Your reservation may include caregivers or adult children. Meetings are generally held the second Tuesday of the month at 4:30 PM, but the schedule may vary with season and weather. Attendees receive refreshments and a free book (one per couple) on common estate planning myths and mistakes, while supplies last. Call TODAY to register, (419) 891-8884. DISCLAIMER: The information contained on our website is provided for educational and informational purposes only. It is not intended to give specific legal counseling or advice. The receipt of this information does not establish an attorney-client relationship, nor substitute for professional legal advice rendered one-on-one in a private consultation.